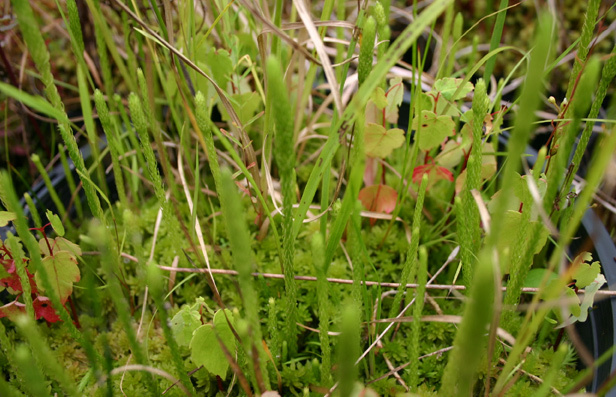 Moist soil in bog edges, full sun. 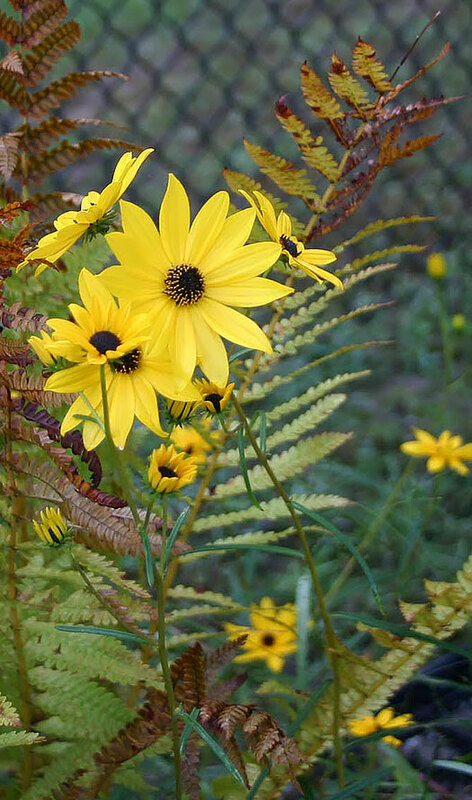 Beautiful fall blooming sunflower to six feet tall. 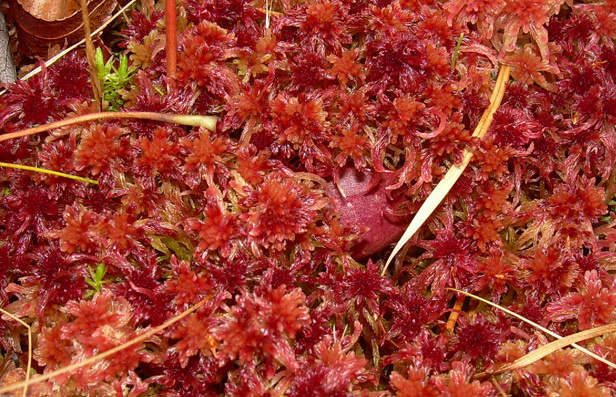 A northern shrub that grows well in sphagnum bogs. 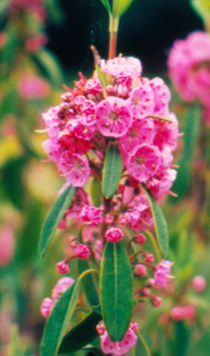 Clusters of pink to white blooms. 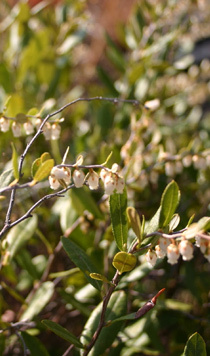 POISONOUS!! 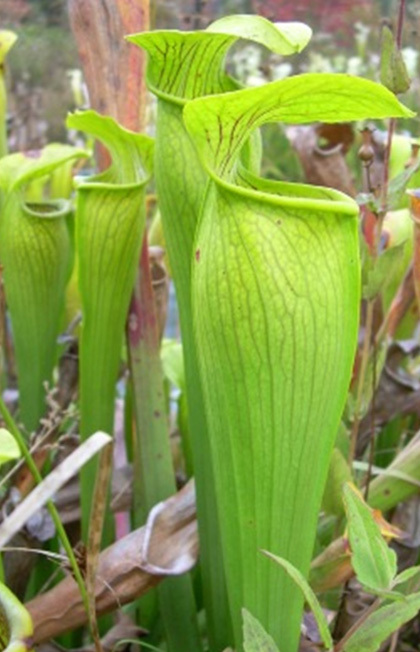 Do not eat and keep away from children and pets. 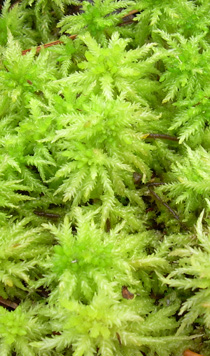 Used as a top dressing in your bog garden or on potted plants. 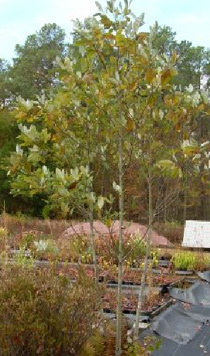 Additional shipping cost may be required. 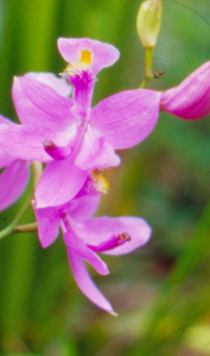 the grass pink orchid. 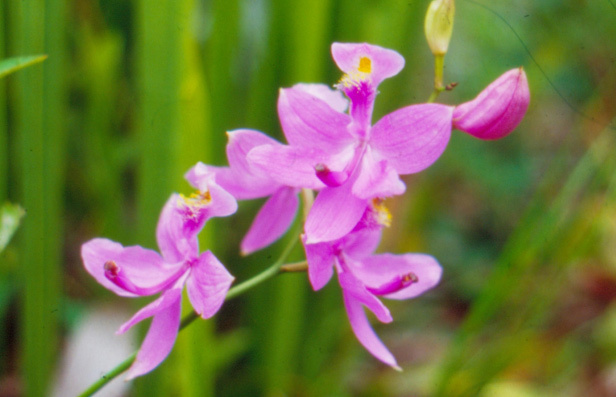 Beautiful pink blooms on slender stalks measuring up to 2 feet tall. 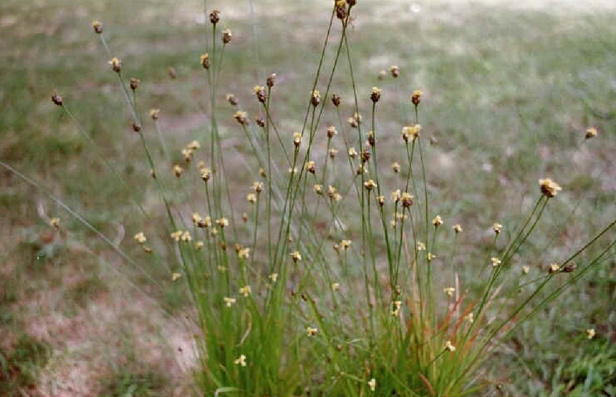 This attractive plant crawls along the ground with round green stems and throws up tall club-like reproductive structures. 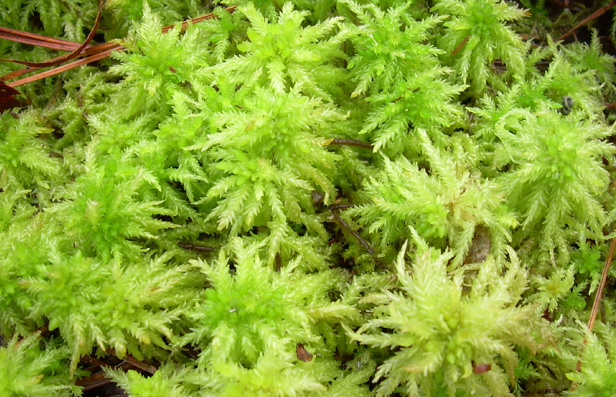 Club moss is an associate plant of pitchers plants and sundews and grows on top of moist mineral soil. 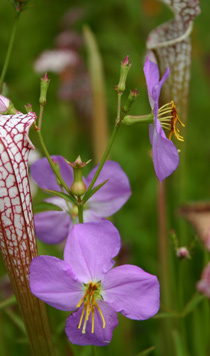 This beautiful native perennial herb produces attractive and delicate pink/purple blooms in mid-summer. 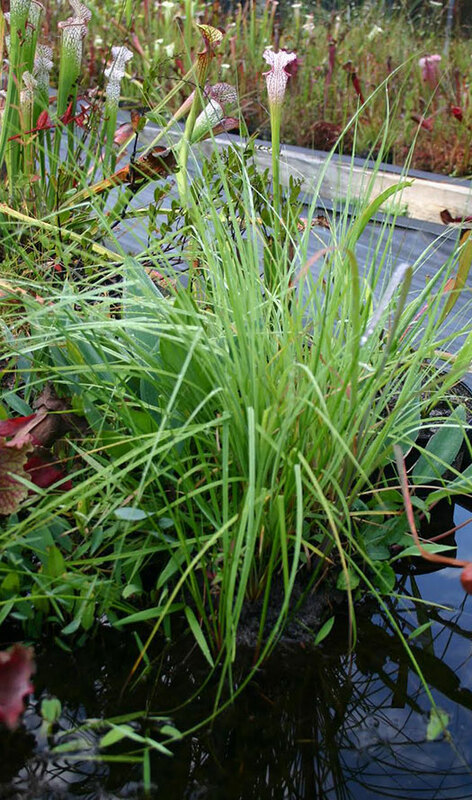 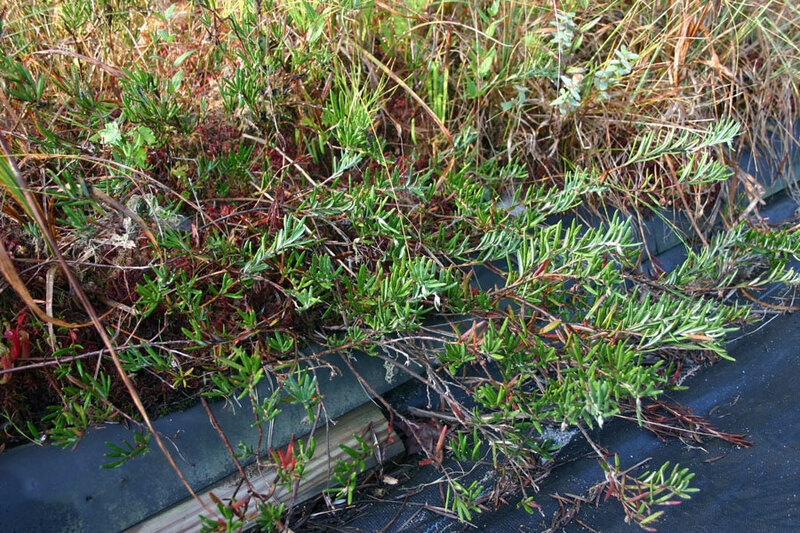 The plant is rhizomatous and easily spreads in bog garden or potted setting. 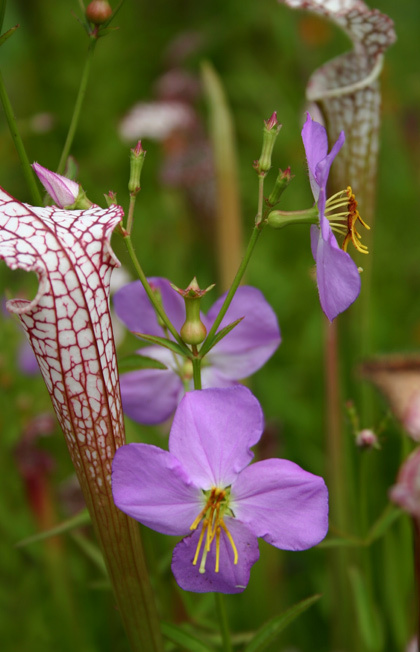 Meadow Beauty is an excellent companion to trumpet pitchers. 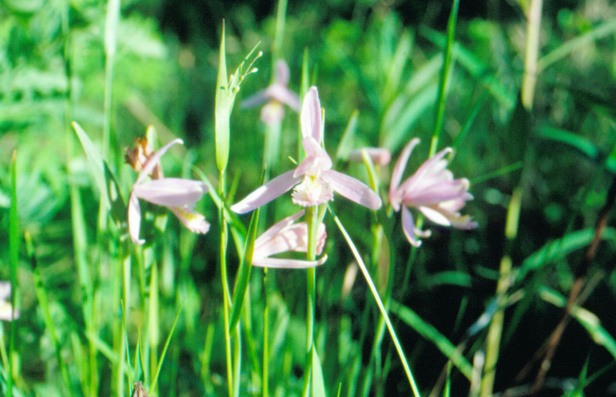 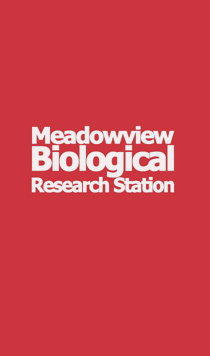 This species of Meadow Beauty is similar to Rhexia mariana, but has smooth stems and is slightly larger, and with deeper pink flowers. 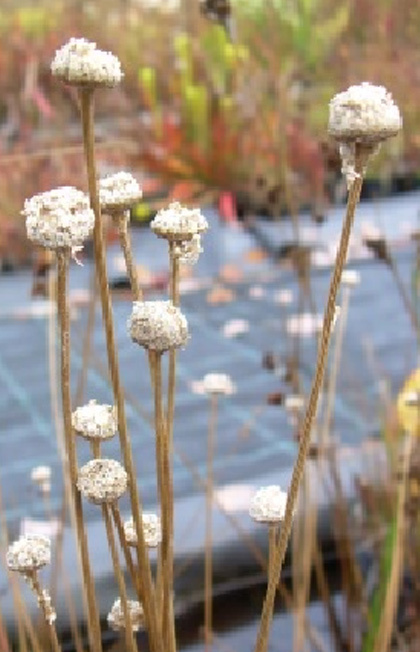 Pin cushion looking plant. 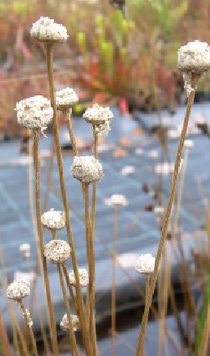 Hard, white heads on linear scapes give this plant the appearance of pin cushions, hatpins, or white buttons on a stalk. 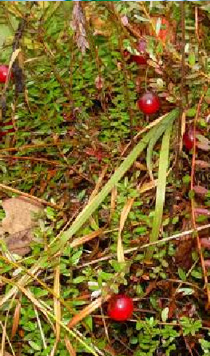 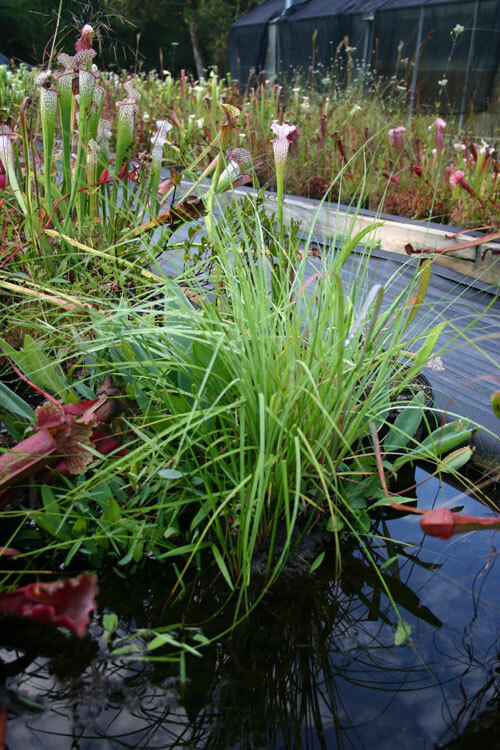 An associate species of Sarracenia flava, propagated from material from Dinwiddie County, Virginia. 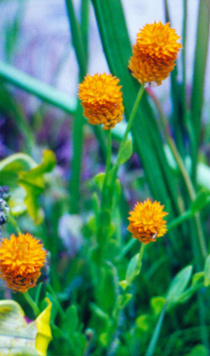 Yellow flowered member of the Asteraceae. 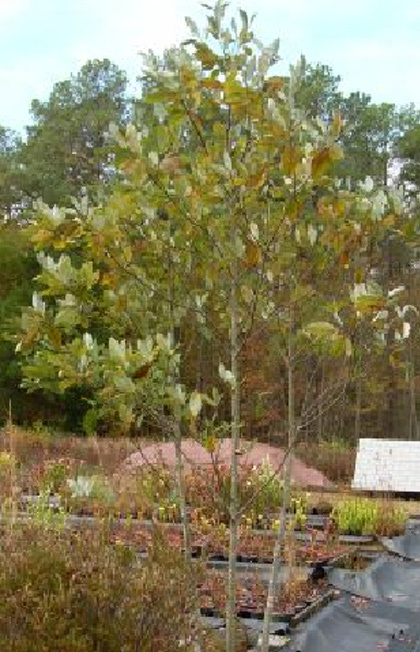 An associate species of Sarracnia flava propagated from material from Dinwiddie County, Virginia. 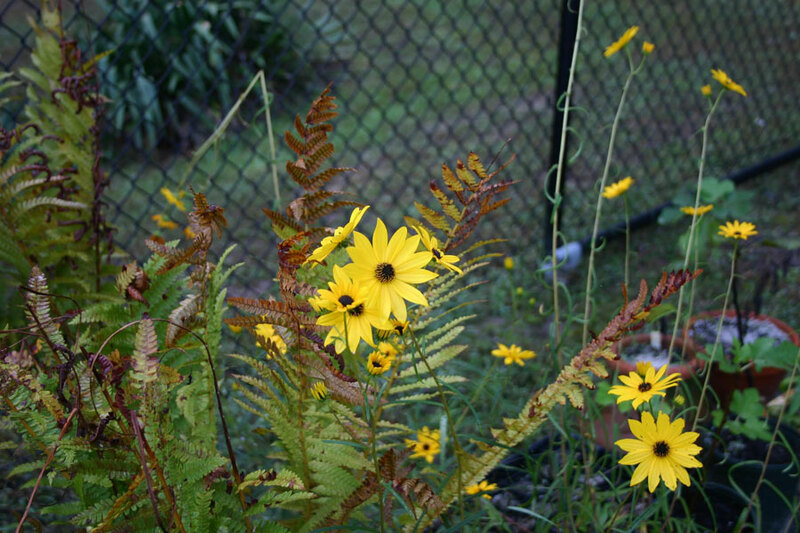 Flowers in May with flower stalks 2-3 feet tall. 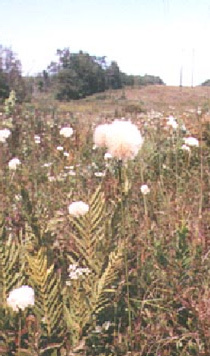 Plugs raised from Caroline County, Virginia population. 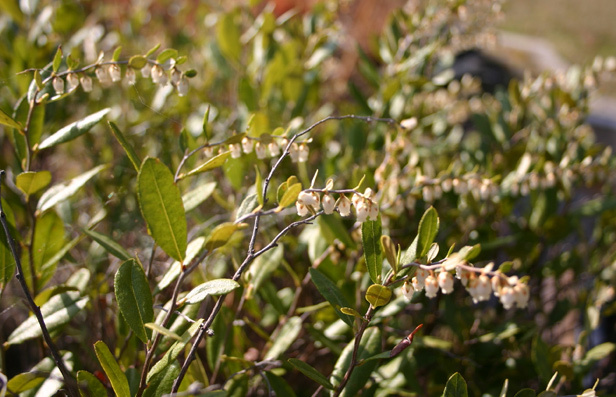 Leatherleaf, a native bog shrub with clusters of small at-tractive white flowers in late winter. 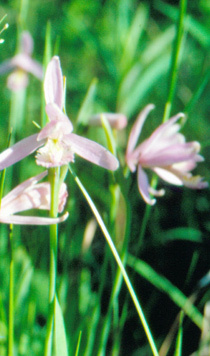 (Rose Pogonia Orchid): This delightful pinkish white flowered orchid spreads rapidly through a bog garden. 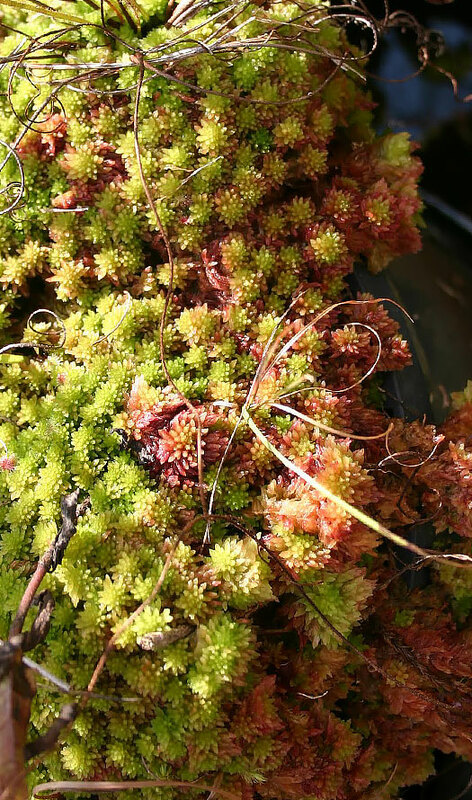 Perennial with light green succulent leaves in basal rosettes ranging in height from 4 - 20 inches. 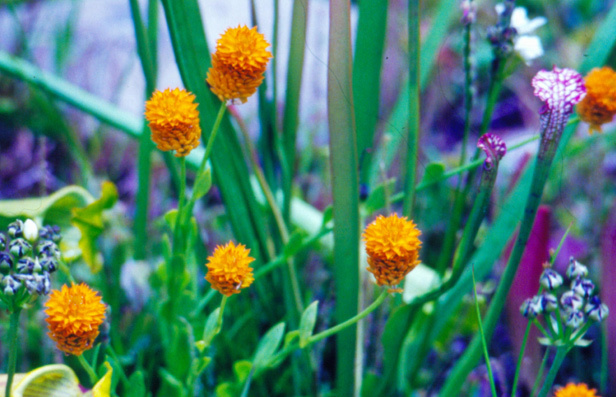 Beautiful orange flowers in compact head-like racemes. 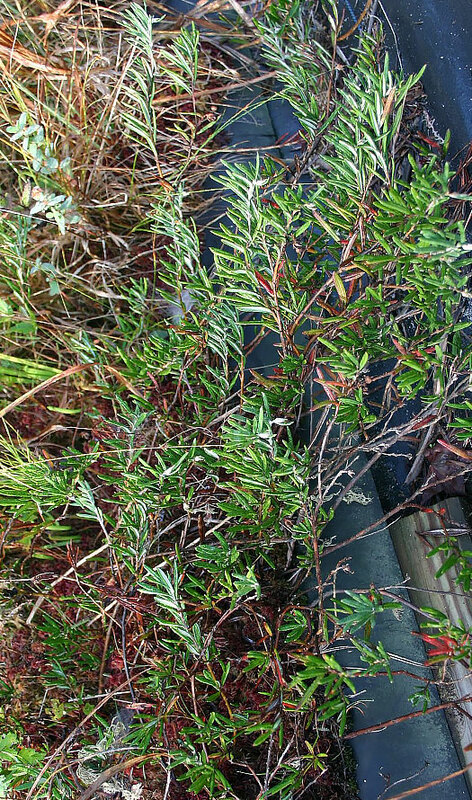 Attractive evergreen trailing vine that forms a heath in your bog garden. 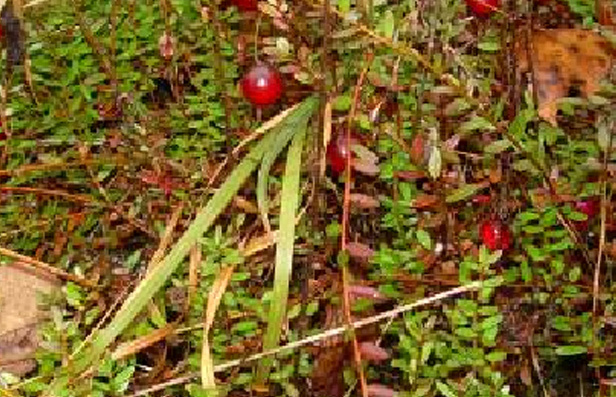 Produces edible fruit used during the holiday in sauces. 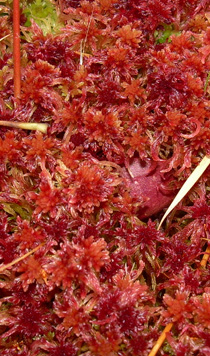 An associate found in the bog community. 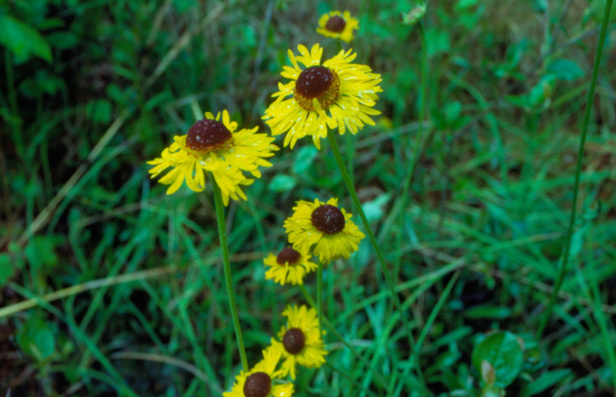 Perennial with small attractive yellow flowers. 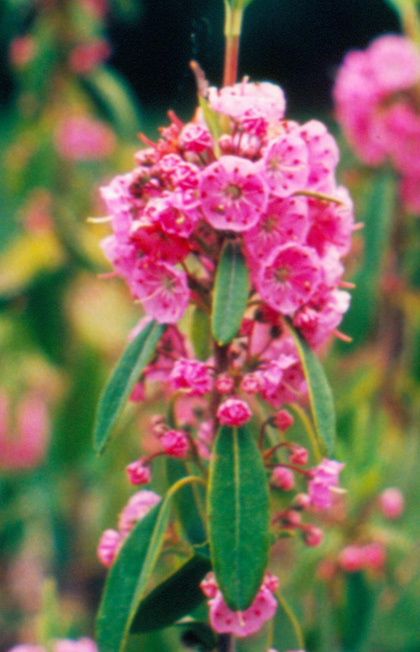 Sheep Laurel. 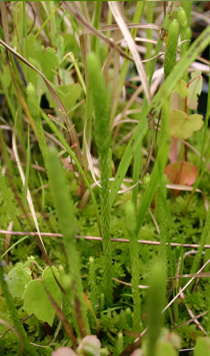 These are seed raised plants from a rare population in Caroline County, VA. 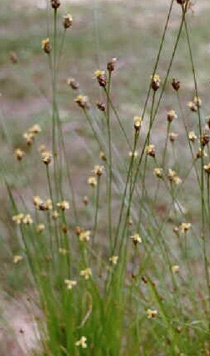 The popula-tion is intermediate between northern angustifolia and southern var. 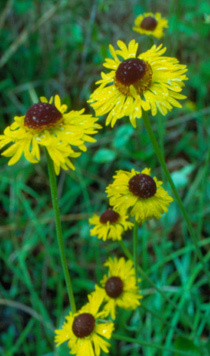 Carolina.